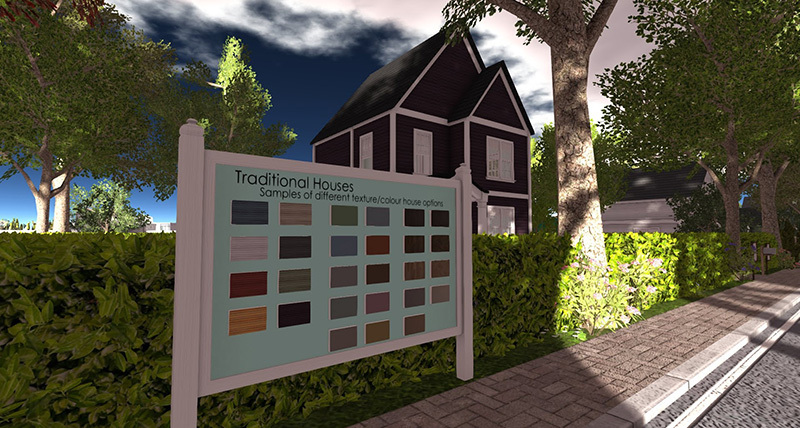 In this episode of Designing Worlds we’re paying the second of our two visits to Second Life’s amazing Home and Garden Expo, which raises funds in aid of the American Cancer Society’s Relay for Life. 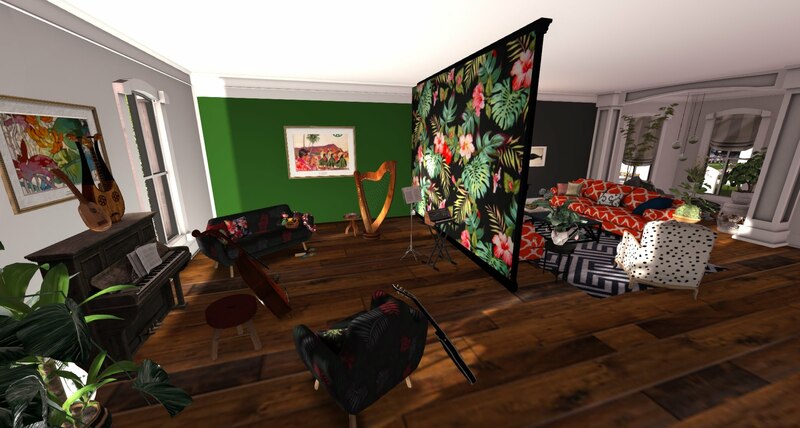 The show goes live on Monday 8th April at 2pm SLT on the Designing Worlds Vimeo channel and on the Designing Worlds channel at SLArtist – and you can join the special Watch Party (also at 2pm SLT) in our studio on Garden of Dreams. And once again, we conclude with a short visit to the beautiful Lantern Ceremony. Sunday 7th April: What’s happening today at the Home and Garden Expo? It’s the last day of the Home and Garden Expo, the last day to check out all that Shopping! But there are still events you don’t want to miss as well. Before the auction itself starts in the Main Theatre, we will be announcing the results of the Home and Garden Expo Decorating Contest! Today’s Entertainment at the Home Expo Music Theatre! 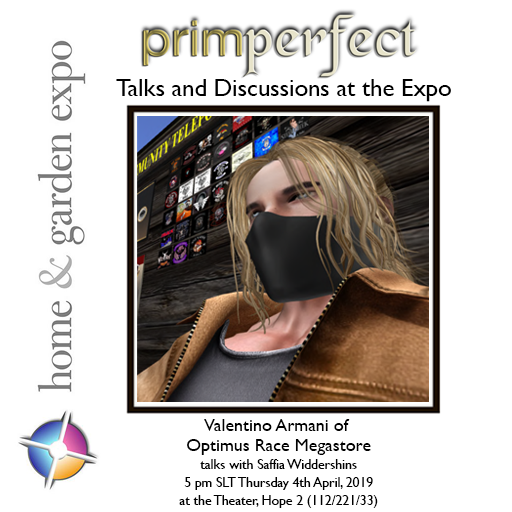 10am: Home & Garden Brought to Life by L’Amour Productions! Come and enjoy this fabulous runway production! 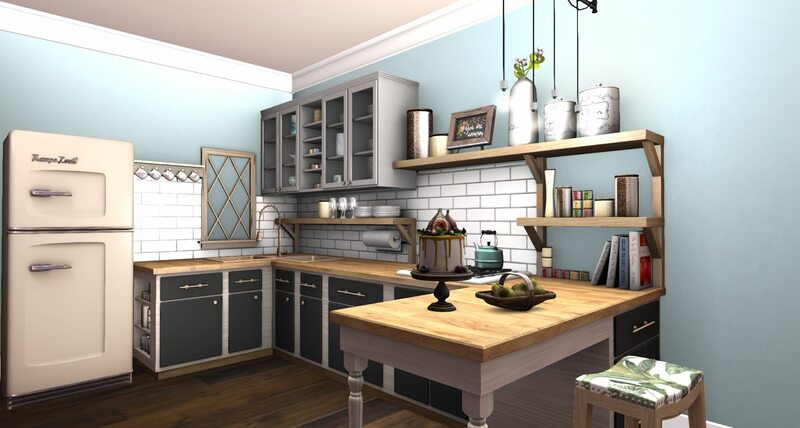 L’Amour Productions is bringing the fabulous ‘fashion meets home & garden’ show, Home & Garden Brought to Life! This annual show is an eye catcher and one not to miss! Later on in the day, grab that dance partner and head over for some fun entertainment at the stage again with DJ’s Gem Sunkiller, Nuala Maracas (or Madelyn Majestic) and Trader Whiplash. 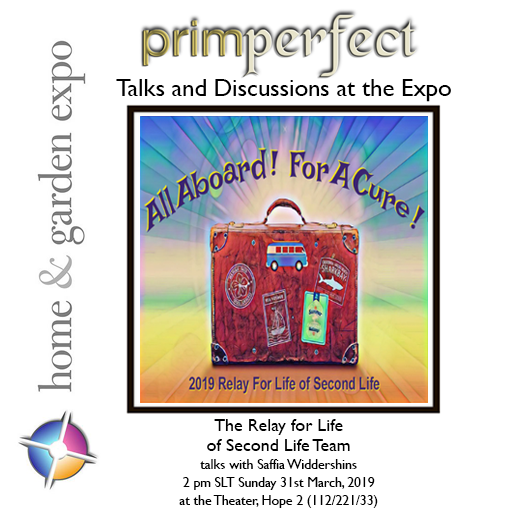 Good times and good tunes all in support of Relay For Life of Secondlife at the Home Expo! It doesn’t get much better than that, as we wrap up the Entertainment at the 2019 Home & Garden Expo! Every day at 4pm, there is a special lantern release ceremony from the roof of the Main Theatre at the Expo. Often the event takes place in comparative silence – a break from the busyness (and the business) of the Expo – a time to reflect, remember and mourn. 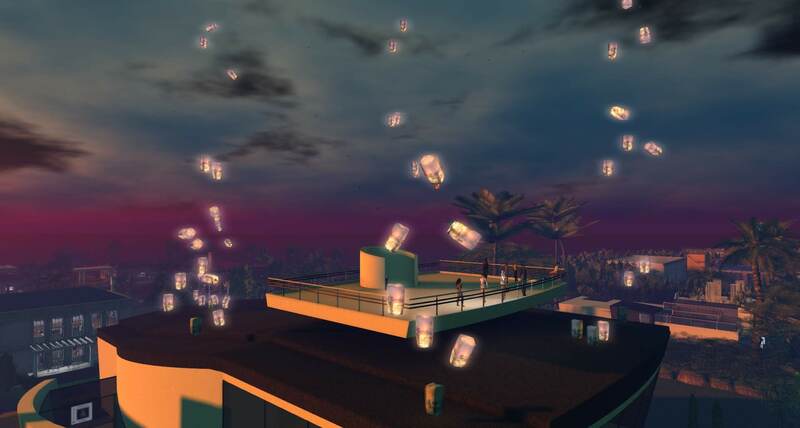 But the LAST Lantern Release is very different – a time to celebrate the Expo and all we’ve achieved. And we RIDE those lanterns into the heavens! Set your windlight to midnight and join us – or watch from afar. We have an annual Breedables Auction at the Home and Garden Expo, but this year it’s very special. It’s named in honour of Nita10 Greywolf, a long-standing breedables fan, a strong supporter of Relay for Life of Second Life, and a very courageous woman. 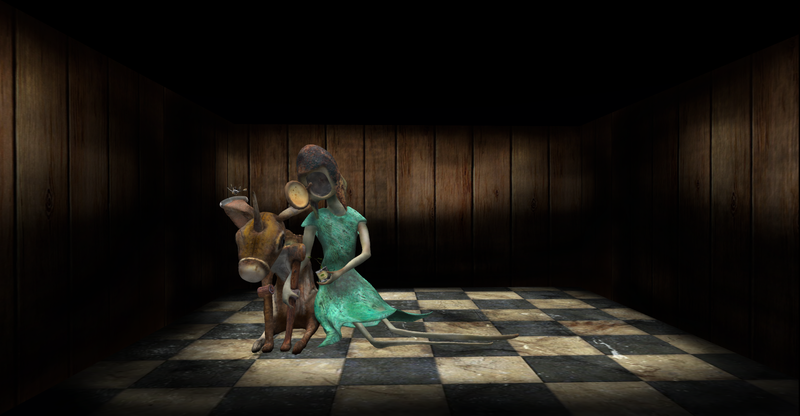 Perhaps only her closest friends in Second Life realised quite how ill Nita herself was. Once a powerful DJ, she had lost her voice to throat cancer, and it had spread. Several nights ago, she made a call to the RFL Volunteers group, asking for help. And OldeSoul Eldamar took her call. She was clearly in great pain. In real life, she was surrounded by her family, and she and they knew she had very little time left. 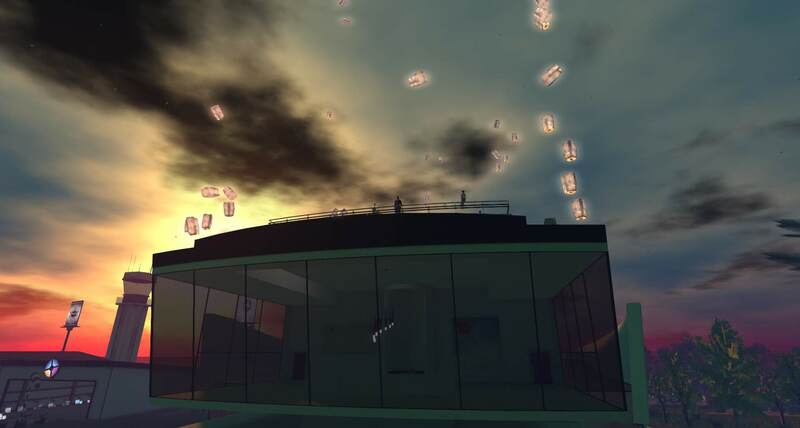 But she wanted to do one last thing in Second Life. She wanted to make sure her breedables went to benefit Relay – and also go where they will be loved. She passed them all – ultra rares that she had been breeding especially – to OldeSoul. And he arranged for them to be passed to the Auction, which we have named in honour of a very brave lady, who thought at the end of how she could help others through her gift. OldeSoul ended the call with a hug, and much love. Afterwards, he learned that she died about an hour later. She has donated Barnyard Duck Nests, Amaretto Horses and Evo Fairies. There will be other breedables on sale – Kittycats and Fennuxes, and we thank their donors too. And there will be a very special Evo Fairy, created in her memory. KhrysT Lords of Evo has organised the creation of a special limited edition Evo Fairy, shown in the picture above. There are only 50 available, and 20 will be sold at the Auction today (the others will be available at later RFL events). So please come and join us at 12 noon today … and make this an auction to remember. Breedables Auction being set up! Friday 5th April: What’s happening today at the Home and Garden Expo? We’re getting ready for the last weekend of the Expo – and things are already starting to come to a head. Firstly – some of the Silent Auction boards are closing TODAY, so get down to Hope 7 and put your bids in – there are some fantastic bargains still to be had. Then there will be the OOAK (One of a Kind) Live Auction on Sunday 7th April at 1pm SLT. Highlights includean original artwork by Bryn Oh, two unique Teager animesh horses, and your own Designing Worlds show on the subject of your choice. 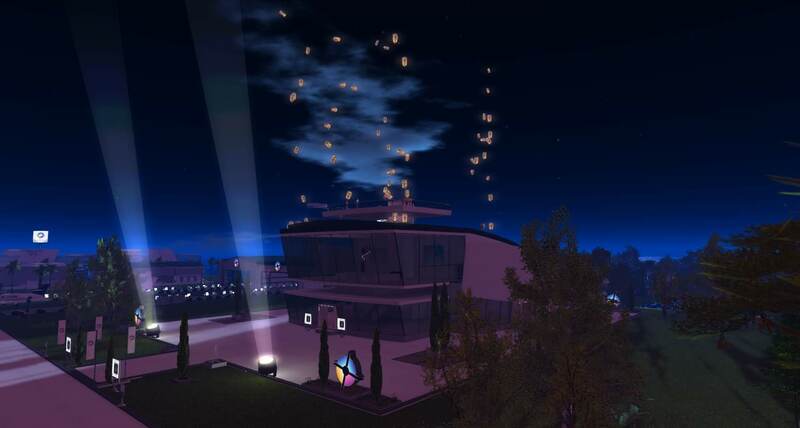 Sandie will be talking about the programs & services from the American Cancer Society available within Second Life. Sometimes people speak, but often the event takes place in comparative silence – a break from the busyness (and the business) of the Expo – a time to reflect, remember and mourn. 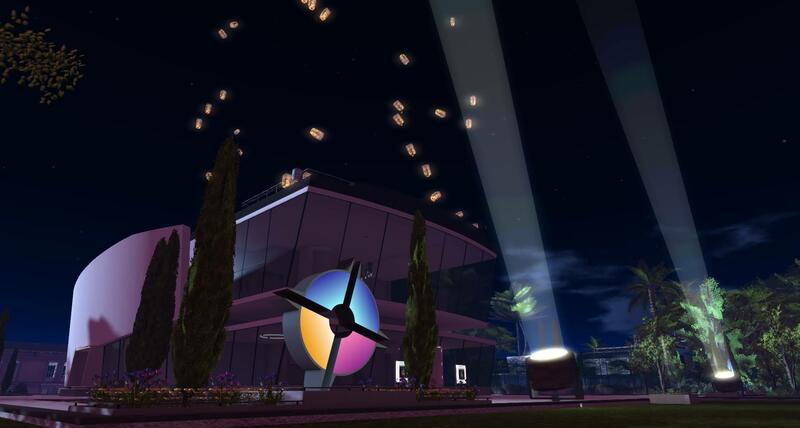 Set your windlight to midnight and join us – or watch from afar. 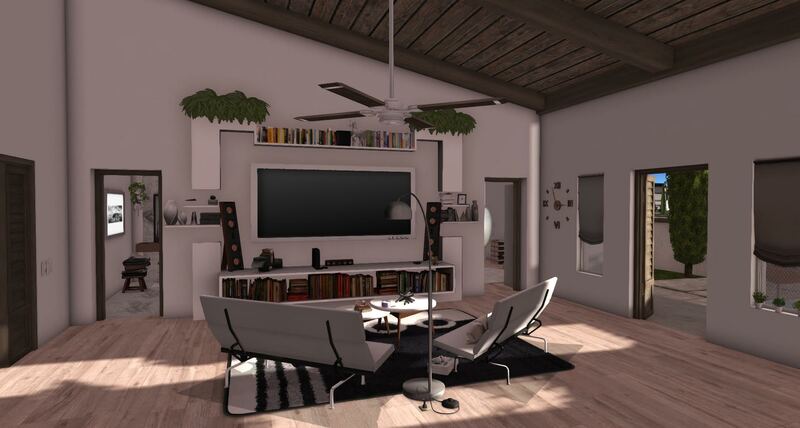 Have you visited the special preview of the new Linden Homes? 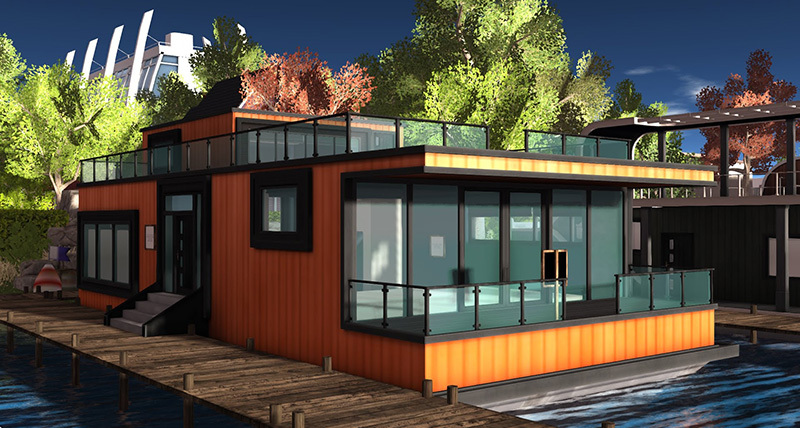 There’s traditional homes – and houseboats too! Now is the time to vote in the Home and Garden Decorating Contest! RFL kiosks have been placed outside each home. Every Linden you pay into the kiosks counts as a vote – you can vote as much and as often as you like, and you can vote for as many houses as you want! So come over and view these beautifully decorated homes! And you can read all about the Homes EITHER by clicking on the Information signs outside each house, OR by reading the Competition page here! Thursday 4th April: What’s happening today at the Home and Garden Expo? And we’re into the final week (sob) of the Home and Garden Expo. 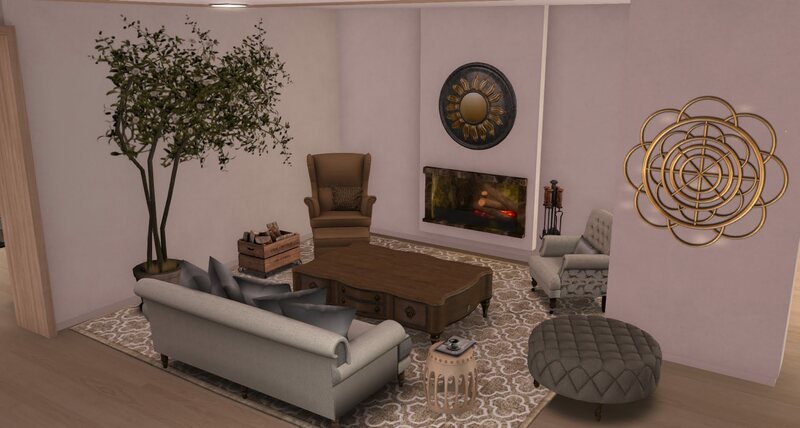 So far we’ve raised over L$2,168,000, and with bids coming in for the Auctions and votes for the Home and Garden Decorating Contest, that will be rising over the last few days! 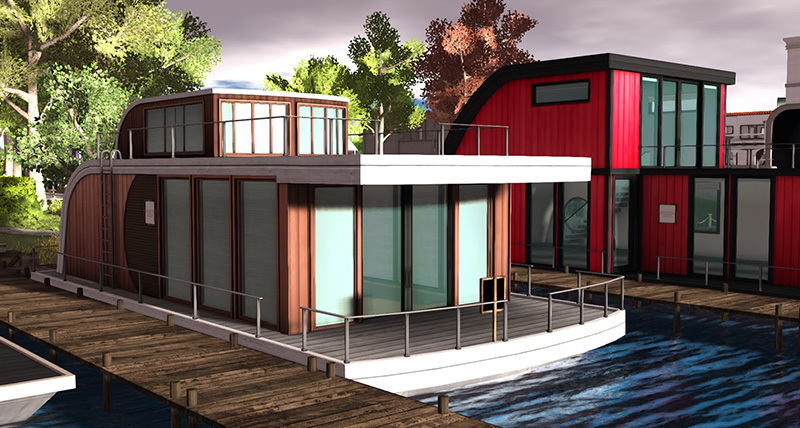 Incidentally, the Home and Garden competition has ALREADY raised more than 200,000 Lindens – in fact, at the moment it stands at L$214,414 – which is approximately US$869! So keep on shopping – but don’t miss these other wonderful events today! Show and Tell at the Expo! 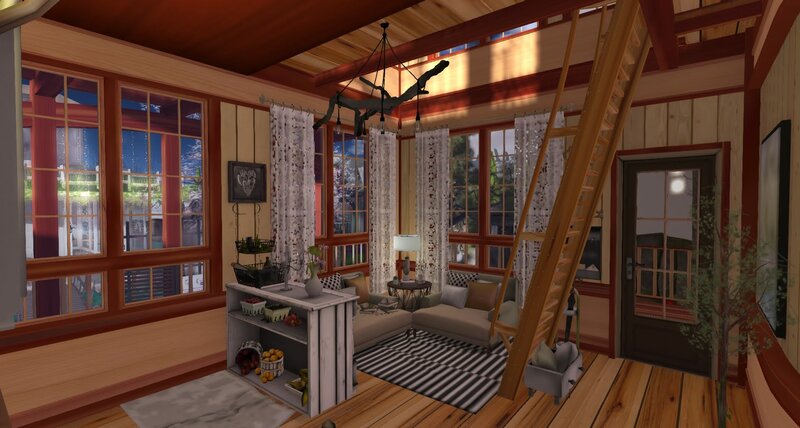 2pm SLT: Show and Tell! A chance for creators to bring in some of their latest (or most loved) creations, and show them off to fellow creators and Expo visitors. These Show and Tell sessions are always fun – and a way of showcasing some remarkable creations! Valentiono will be talking about mesh and Script X LAG for vehicles in Second Life – and there will be the opportunity to take a test drive. Grab that dance partner and head over for some fun entertainment at the stage today. 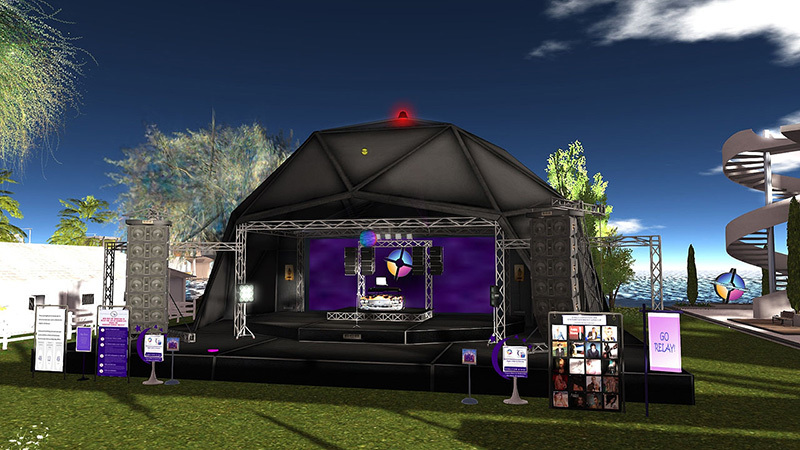 Good times and good tunes all in support of Relay For Life of Secondlife at the Home Expo! Today at the Expo Theatre T1 Radio is bringing DJ Fiz Underwood and his Mixed Bag of Tunes. Get those dancing shoes on and head on over! We have set up the auction boards for the silent and live auctions, and WOW, we have some amazing gifts. Come along to view these amazing offers – and place your bids! Wednesday 3rd April: What’s happening today at the Home and Garden Expo? And we’re into the final week (sob) of the Home and Garden Expo. 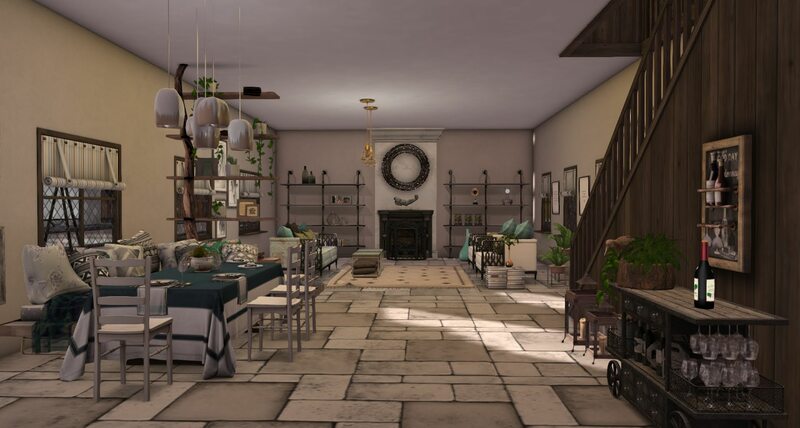 So far we’ve raised over L$2,100,000, and with bids coming in for the Auctions and votes for the Home and Garden Decorating Contest, that will be rising over the next week! Incidentally, the Home and Garden competiotn has ALREADY raised more than 20,000 Lindens than it raised last year – a jump from L$155,817 to L$179,740! That’s over US$730. Today at the Expo Theatre it’s time for T1 Radio’s Trader Whiplash who will be playing some Rock n Roll! Trader is co-owner of T1 Radio and longtime volunteer with the Relay For Life of Second Life. We are setting up auction boards as we receive objects and/or notecards, and WOW, we have some amazing gifts. 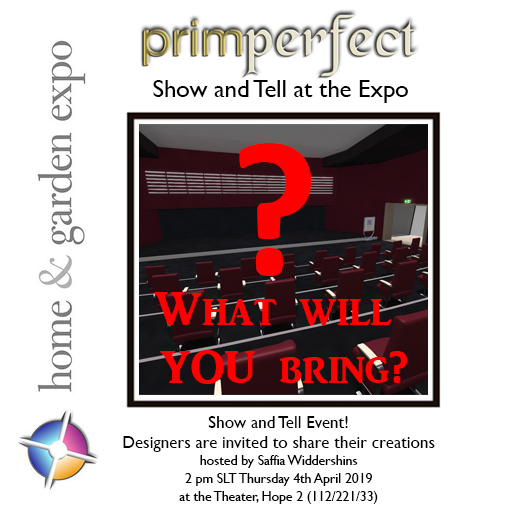 Tuesday 2nd April: What’s happening today at the Home and Garden Expo? And we’re into the final week (sob) of the Home and Garden Expo. 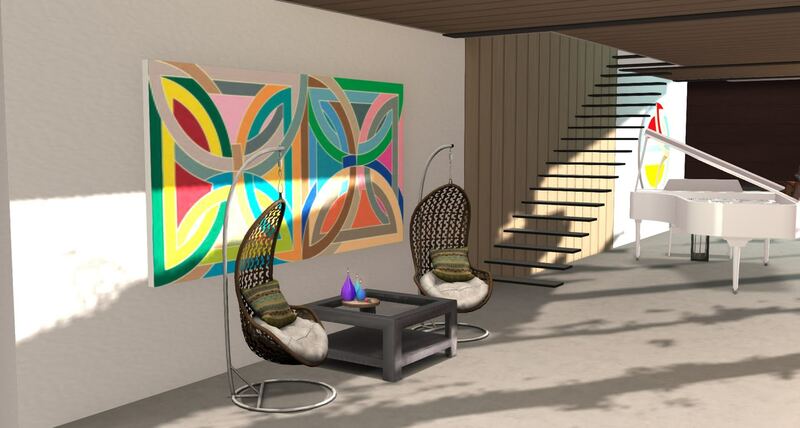 So far we’ve raised over L$2,000,000, and with bids coming in for the Auctions and votes for the Home and Garden Decorating Contest, that will be rising over the next week! Today at the Expo Theatre it’s Rock n Roll Stew with Nuala Maracas. Nuala is co-founder of T1 Radio and longtime Relayer. She served as the chair for Relay For Life of Second Life for the 2017 and 2018 seasons. She’ll be on the expo stage as a T1 Radio DJ. Come on out for some great Rock n Roll!